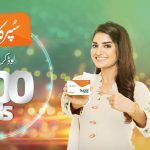 Home » Technology News and Business Updates Of Pakistan » How to Get 100MB Internet with Ufone Super Recharge Offer? How to Get 100MB Internet with Ufone Super Recharge Offer? If you are a Ufone subscriber then there is a good news for you. The cellular operator has upgraded its Super Recharge offer and now the subscribers can get 100MB of internet instead of 30MB. Yes that’s absolutely true Ufone has increased the internet volume from 30MB to 100MB in its Super Recharge offer. Besides having 100MBs of internet the customers can also get 300 U-U and PTCL minutes, 300 SMS and 10 off net minutes with the Ufone Super Recharge offer. How to activate Ufone Super Recharge offer? Ufone Super Recharge Offer is valid for 2 days after subscription. How to Get 100MB Internet with Ufone Super Recharge Offer? If you are a Ufone subscriber then there is a good news for you.